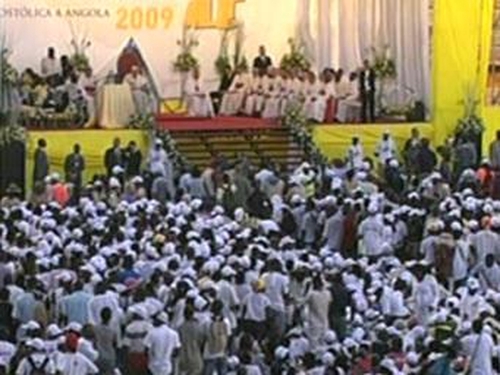 Two people were killed and at least another eight injured in a stampede to enter a stadium in the Angolan capital where Pope Benedict later presided at a youth rally. The Lusa news agency reported that the incident happened as thousands of people rushed to enter the stadium in Luanda about four and a half hours before the Pope arrived at the stadium. Police and hospital officials were not immediately available for comment on the report. Lusa said the victims were a young man and a young woman who died at the scene. Their ages were not given.